A creative social media campaign for Bart Durham Injury Law. 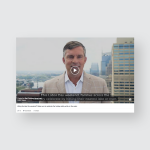 The challenge was to create a video for Bart Durham Injury Law’s social audiences to cleverly tell them how to navigate a roundabout, since Nashville has two of them. The video needed to be light and engaging and direct traffic back to Bart Durham’s website. 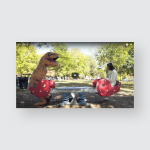 We took a satirical approach to the subject, showing users ways to NOT navigate a roundabout, including texting and writing song lyrics, and eating hot chicken while driving in a roundabout. The video encourages viewers to click through to Bart Durham’s website to see the correct way to navigate a roundabout. This video has over 14,700 views on Facebook.